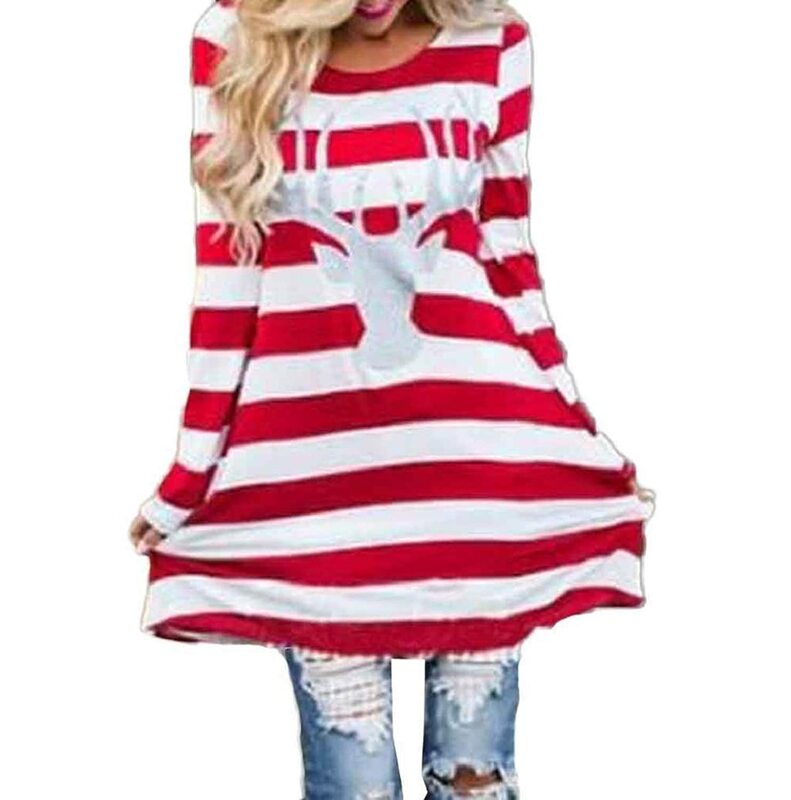 If you are a woman who prefers wearing tunic-length shirts, sweaters or dresses, you will be happy to know that you do not have to recuse yourself from the Tacky Holiday Sweater Party this year. 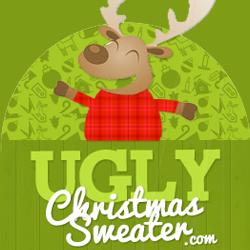 Ugly Christmas sweaters come in tunic-length varieties that you will love to wear every day throughout the entire holiday season. In fact, if you are a Christmas sweater aficionado, you can start wearing these tacky tunic holiday sweaters during Thanksgiving. Or maybe just wait until the day after Thanksgiving when you start shopping for Christmas. In the mean time, you can start stockpiling them in your wardrobe for then. These tunics come in a few varieties. Some are tunic-length sweaters. Others are t-shirts or sweatshirts in tunic length. And a third category are actually dresses that you can wear alone or as a tunic over skirts or pants. There is really a large selection of these for women who just don’t like wearing shorter styles. Plus the tunics are warm and comfortable, and might even work for women who are pregnant. Most of these junior’s sweaters come in women’s sizes also, but you can find some in junior’s plus-size by clicking the links. This group of tunic sweaters come in both women’s and plus sizes. You can see a few plus-size tunic sweaters below. 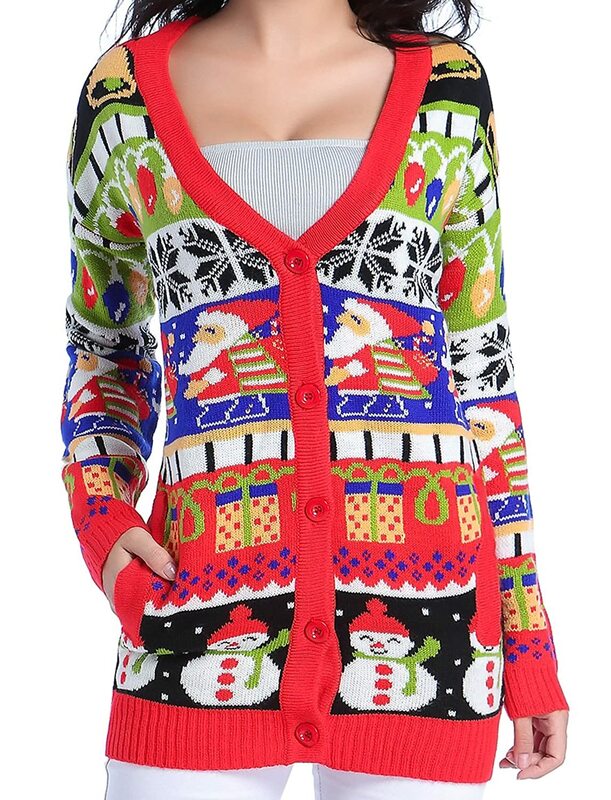 For those who prefer an Ugly Christmas Sweater Dress, there a wide selection of fun choices. Some are sweater weight for cold climates while others are thinner weight and sleeveless for warm climates. You are sure to find a great tacky Christmas dress from this group of dresses. Cardigans are nice to throw on over a sleeveless top or even another sweater in frigid weather. These tunic-length cardigans are comfortable and affordable for the upcoming holiday season and they are sure to brighten up your festive events. Once you have chosen the perfect sweater or dress for your party outfit, then you can start thinking about party supplies, home decor and Christmas decorations if you are hosting the Ugly Sweater Party yourself. If not, maybe you can bring your hostess a gift in the Ugly Sweater theme.